Leading Manufacturer of perforated sheet for pharmaceutical industry from Kolkata. Our firm is specializes in offering an excellent quality Perforated Sheet for Pharmaceutical Industry. This sheet is manufactured with the usage of quality checked raw material and cutting-edge technology under the observation of adroit team in tune with industry norms. The provided sheet mainly used in pharmaceutical industry and is well-known for its long service life and excellent functionality in the market. 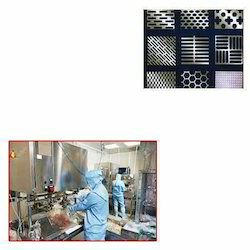 Looking for Perforated Sheet for Pharmaceutical Industry ?